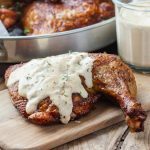 Great on chicken or pork, this tangy-peppery mayonnaise based white BBQ sauce is popular in Alabama with BBQ enthusiasts. 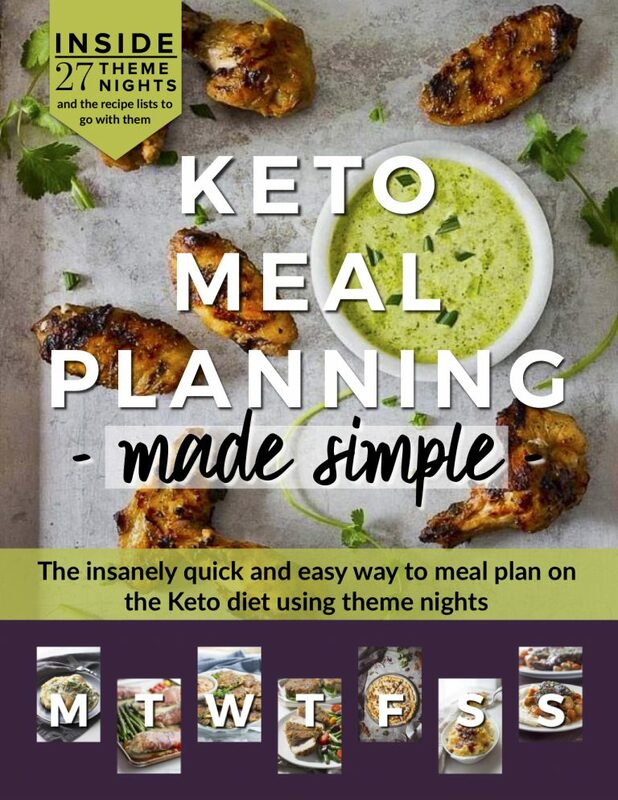 Easy, Low carb and keto! In the summer months home cooks everywhere pull out all the stops to dazzle friends and family with their mad bbq skills. 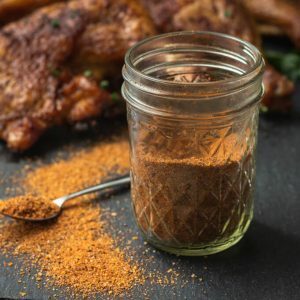 It’s grill season, baby, and having a great dry rub for chicken and a killer BBQ sauce can bring that fire kissed goodness to the next level. Speaking of BBQ sauces, most people are familiar with the sweet tomato based sauce popular in their region. 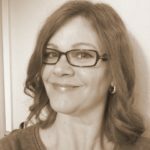 My husband grew up with a thin or vinegar based Carolina BBQ Sauce. I grew up with a little thicker and sweeter ketchup based Texas BBQ sauce variety which included ground chiles and carried a subtle smoldering heat. But there is another sauce in town: WHITE BBQ SAUCE, often referred to as Alabama white sauce. This mayonnaise based BBQ sauce is popular in Alabama. The first time I saw it, I thought was ranch dressing. 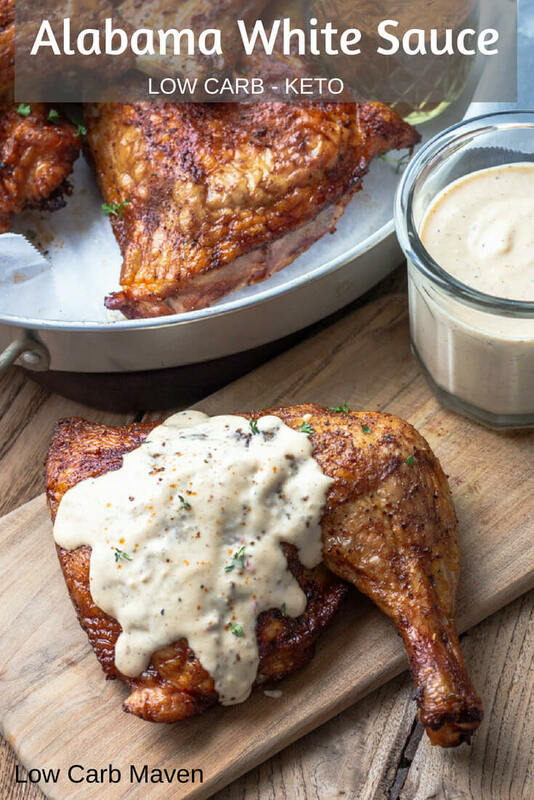 Ranch dressing is great on grilled or smoked chicken, but trust me, the two are not the same. What is Alabama White BBQ Sauce? 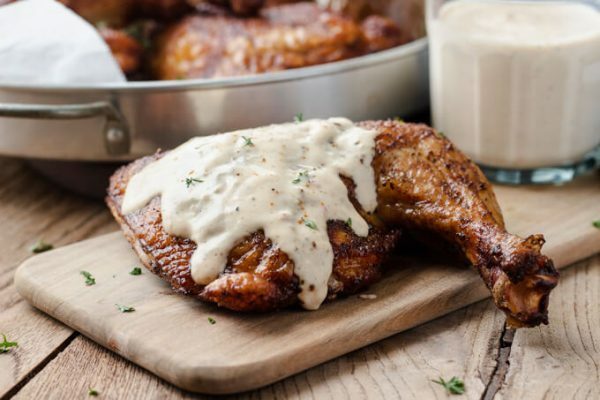 Alabama white sauce, sometimes called “Alabama white”, is a mayonnaise based sauce with a peppery tang, used on chicken, pork, seafood and turkey. I like it on chicken, best. Big Bob Gibson’s BBQ (Decatur, Alabama) is credited with developing the recipe, where it’s slathered on chicken just before plating. What is in Alabama White BBQ Sauce? Recipes for Alabama white sauce vary slightly in ingredients but they’re all mayonnaise based. Other common ingredients are vinegar or lemon juice, horseradish, creole mustard, and custom seasonings and spices. It’s utterly delicious! The recipe I am sharing with you is not an authentic recipe for Alabama white BBQ sauce. 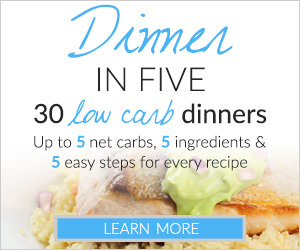 I tried several recipes and then doctored one up based on my own personal tastes. Mine is thicker and has more ingredients. 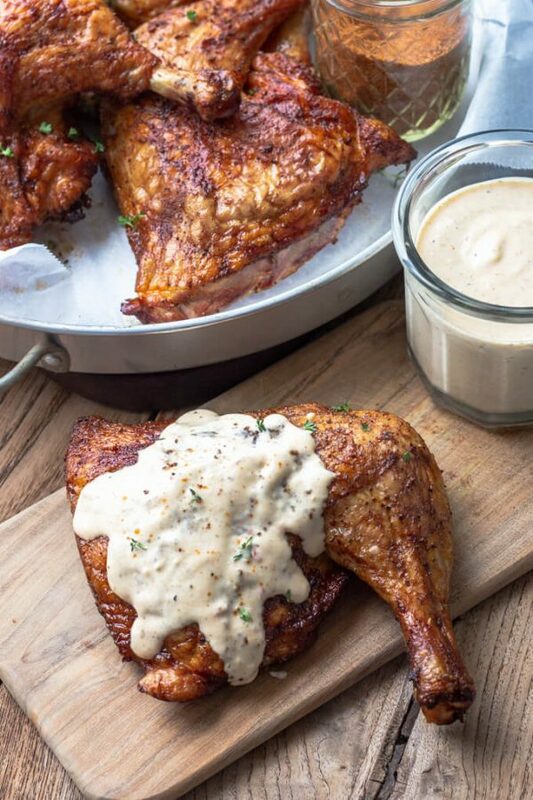 A reader recently shared a more traditional recipe for white sauce for those of you who want the real thing. This is from a reader, Vicki, who is from north Alabama. She says it is great on hushpuppies. The Perfect Keto BBQ Sauce! 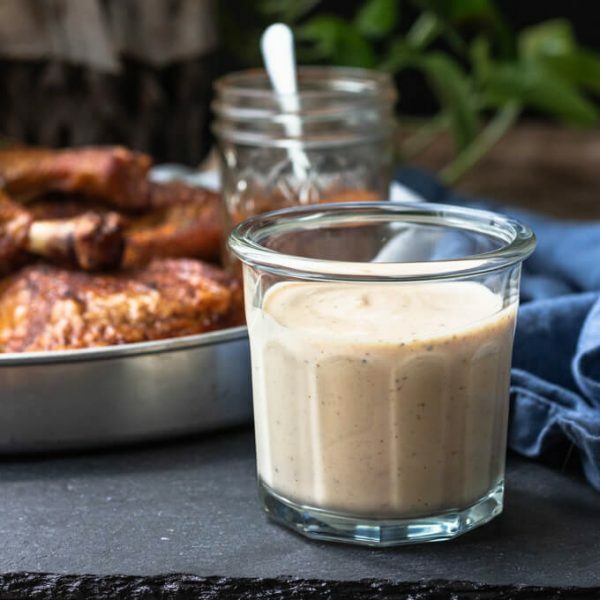 Being mayonnaise based, this Alabama white bbq sauce recipe is great for low carb keto diets. 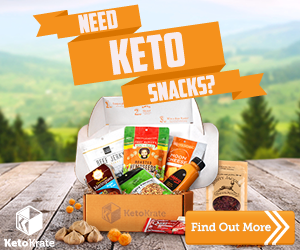 Low carb and keto diets rely on high fat foods as an energy source while minimizing sugars and carbs. 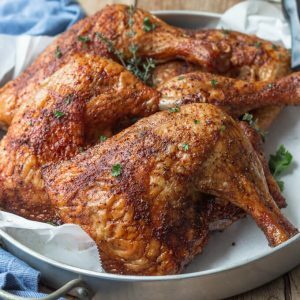 Try it on smoked chicken leg quarters or beer can chicken. You won’t be sorry. Mix all ingredients together and thin to desired consistency with water. Adjust seasoning to personal taste. Makes about 3/4 cup of white BBQ sauce. Serving size is 2 tbsp. Serving size is 2 tbsp. If you thin the sauce with water, then the serving size will be a little larger or it will serve more. This looks amazing!!! I wanted to know your opinion of using pickle brine that’s spicy? Do you think that’ll change the flavor profile too much? I only have spicy dills in the fridge. Love me some white barbq sauce….it is a table sauce, not plated and it is runny. My recipe is NOT the Bob Gibson recipe, it is more like Whitt’s in Decatur Alabama [which is scores better than Big Bob!!!] I have had the recipe for almost 50 years, and it was from the gentleman’s mama’s mama. it is good on chicken, turkey sandwiches, grilled corn [I know – Keto] and pulled pork barbq from the same area, along with the requisite vinegar/pepper combo. Big Bob likely didn’t put horseradish in his until about the time he went on TV…and it went downhill from there!!! Heck, in the 60’s and 70’s you probably couldn’t even GET horseradish in that part of Alabama!!!! From the pics, your white sauce is way, way too thick. It’s not supposed to sit there atop the meat like gravy. It’s supposed to be the consistency of milk or, at most, heavy cream. This is because the white sauce needs to be able to run down into the meat and help make it juicier. I live 25 miles from Big Bob Gibson’s and his family members had barbecue places all over my town. I eat it on pork barbecue, too. It’s great. But you gotta thin that down or it won’t do what it’s supposed to do. Looks yummy, can’t wait to try!